A rapidly-emerging area of scientific study is “event attribution” which seeks to understand the relationships between extreme weather and climate events and climate change. Researchers are identifying the physical processes that are causing an intensification of weather and climate phenomena, which in turn has the potential to improve the prediction of extreme events. The editors of a new book, just published by the American Geophysical Union, answer some questions about weather and climate extremes, and explain technological developments in this field that are improving forecasting and prediction. How does a weather or climate event get classified as extreme? Extreme weather/climate events are typically defined by a given record’s historical distribution, i.e. outside the range. But sometimes judging weather and climate extremes can be subtle, like sensing human behavior—you know when something is wrong, but can’t tell the exact cause. Under the warming climate, defining extreme weather/climate events should consider the climatology, dynamics, and locality in addition to the frequency or “return period.” Even though events that set records are extreme in nature, non-record events can be devastating as well. There are compounding factors that can make a slightly abnormal situation extreme; for example, a long, wet winter followed by a rainy spring can set the stage for flooding. Similarly, back-to-back moderate droughts can strain water resources more than a more severe drought that lasts only one season. In the California drought, extremely low winter precipitation in 2013-2014 exacerbated the typical summer drying, making the effects of drought more severe. Are any regions particularly susceptible to extreme weather and climate events? Some countries are more susceptible to certain event types than others. Under the changing climate, tropical regions are often affected by long-term trends such as greater rainfall intensity and increasingly prolonged drought (such as Australia). Tropical regions that habitually struggle with climate variability are particularly susceptible to problems linked to increased extremes, since poor households typically spend more than half their monthly income on food and are prone to food insecurity. In 2017 across Ethiopia and Southern Africa, some 30 million-plus people are in desperate need of humanitarian assistance in the aftermath of an extreme El Nino in 2015–16. Meanwhile, regions in the higher latitudes tend to experience increases in all types of weather and climate extremes such as severe local storms, heat waves, drought and flood. Amplified water cycle extremes may be the future climate that many midlatitude regions face, such as the recent flip-flop of drought and deluge in California. Similarly, in spring 2015, Texas received three times as much rain during its typical rainy season, causing widespread flooding, yet the state had just come of out a record drought in 2011. Meanwhile in 2017, a monsoonal rainband that is typical of the East Asian rainy season, dumped 2 feet (600 mm) of rainfall in Taiwan within 12 hours, with fatal consequences. Has there been an increase in the strength or frequency extreme weather and climate events and, if so, why? We are seeing an increase in extreme weather and climate events but with a great diversity of trends in different regions. We are seeing increases in intense precipitation, while air temperature increases are exacerbating the influence of natural rainfall deficits. Depending on the region (such as North America), we also seem to be seeing stronger climate variations associated with global-scale phenomena like El Nino and La Nina. Increased humidity associated with the warming air not only causes changes in local water cycles, but also affects other regions by perturbing the atmosphere elsewhere. A warming Arctic could disrupt the pattern of jet streams and cause more wild fluctuations in weather in the midlatitudes. To what extent is it possible to predict extreme weather and climate events? Weather forecasting has matured to a point that it uses as much informatics as science does. Climate forecasting is growing out of its infancy and heading toward rapid development. Recent increases in climate extremes present many forecast opportunities, at weekly, seasonal, and even multi-year time scales. If climate change is making the climate system more energetic, then understanding and modeling how this energy moves through the system can create opportunities for prediction. 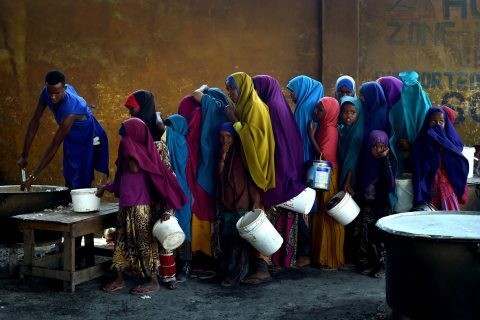 In Somalia, for example, this type of climate prediction did help head off a repeat of the 2011 famine by motivating effective and early humanitarian assistance. The 2011 Missouri River flood was also a success story as far as long-range forecast is concerned. There are challenges, of course, for predicting the inherently unpredictable events such as the Louisiana flood that resulted from casual interaction between two or more innocent-looking weather systems. 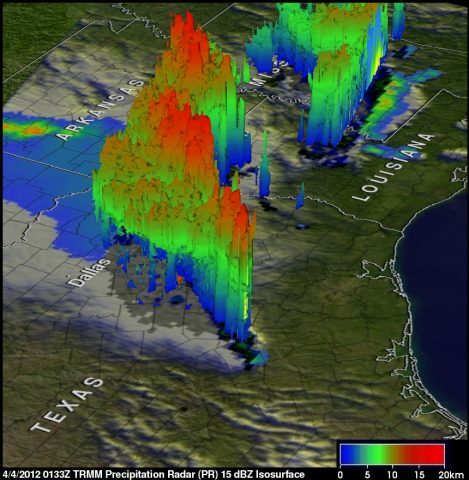 What are some of the challenges facing modelers and forecasters? Climate extremes, especially those associated with precipitation, such as recent floods in California and Peru, rely on complex non-linear processes that are hard to observe and difficult to simulate, even with modern computers. Climate forecast models tend to miss such extremes because of relatively coarse spatial and temporal resolutions, and poor representation of convective precipitation processes. As climate models progress to have higher spatial and temporal resolution, improving our understanding of physical processes that cause climate extremes will lead to better predictions. Further understanding of the dynamic aspects of weather/climate extremes, including both local and remote processes, can help improve forecasting. Where are additional data or modeling efforts needed in this field? More international collaboration with a focus on consistent climate monitoring will lead to improved climate services, helping us to better monitor, understand and anticipate climate extremes. Unfortunately, the world faces a “reporting crisis” because the number of reporting weather stations in many parts of the world has dropped rapidly in recent years, just when we need to know more about how patterns of air temperature and precipitation are changing. Also, critical satellite missions have been put off. Higher-resolution climate modeling and better data fusion techniques will be beneficial to simulate and better predict climate extremes. Citation: Wang, S.-Y. 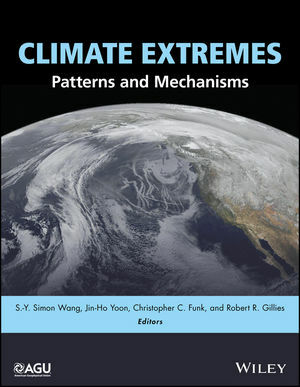 S., J.-H. Yoon, C. C. Funk, and R. R. Gillies (2017), How does changing climate bring more extreme events?, Eos, 98, https://doi.org/10.1029/2018EO076319. Published on 13 July 2017.